Yoga and its impact on my self-worth. My past consisted of doctors and people predicting my future based on the countless things I couldn’t do as a result of my disability status. I feared that because I had limitations, I was less of a person. I had no worth or value. I’d never do something great. I assumed my happiness existed well in the future after I had everything figured out. My destination became more important than my journey, but as a kid, I kept hearing about how difficult my journey would be. All my life, I struggled with depression and anxiety. The things people were saying about how they thought my life would go; I almost listened and followed. A doctor once told me that I had a depression that couldn’t be treated. That was correct; medication couldn’t help me. I wanted to manage my well-being as holistically and naturally as possible. I engaged in mind/body healing exercises, such as yoga, which focused my attention on the present moment. From the time I was young and even now, I’d project so far into the future thinking next week, next month, or next year, life would improve. I’ll be relevant. I’ll like myself more down the road, but this intruding little voice in my head kept saying: “You‘ll never be good enough.” It also said other things such as: “You’ll never be X, Y, or Z.” And, “Life will be better after you do or have X, Y, or Z.” Achieving something would prove my worth — prove doctors and science wrong. Well, I had already done a whole lot, but it didn’t matter to me. The way I was feeling and thinking about myself interfered in my day-to-day life, and of course, my relationships with others. My perception of self-worth had to do with how other people thought of and viewed me. If someone thought I was important and the things I made satisfied people, my self-esteem soared. I had to do something. I had to invent something. I had to change something. I had to, had to, had to. A few years ago, I began practicing yoga as a way to embrace simplicity and be in the now, even if life wasn’t together or things weren’t perfect. In my time of healing, I took a second listen to that voice in my head. The only person who put pressure on me was me. The only person who said I was less was me. I also knew the things I was saying about me weren’t accurate. I had slipped into this vicious cycle of giving in and acting upon loathing thoughts. Something had to be happening for me to be happy, content, and to feel worthy, otherwise, forget it. When a negative thought or a depressive spiral would come on, I’d turn to yoga. It gave me a new sense of self and a realistic approach to my ways of thinking. 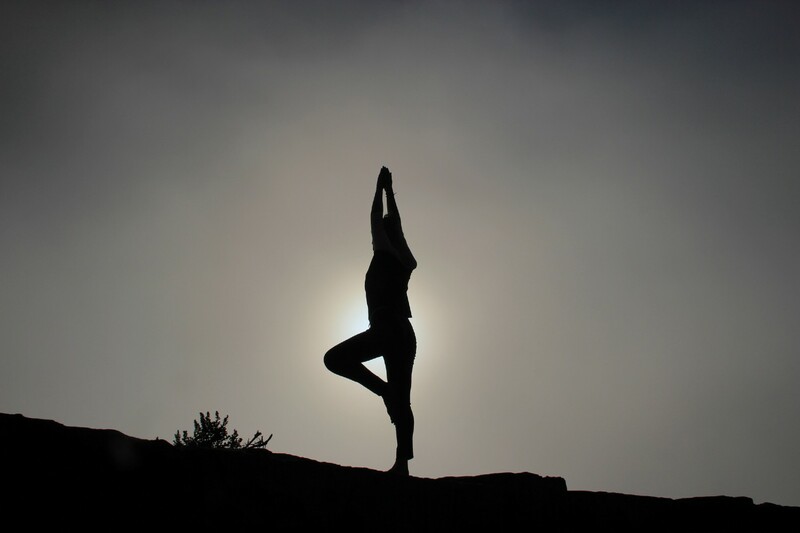 Yoga also affected me unconsciously; before I knew it, I was eating healthier and feeling good. My eating habits changed. I pursued mindful living and did things for mere enjoyment. I’d do things not to simply coast through the present moment, but be immersed in it. Then, that little voice in my head that always started sentences with: “You’ll never,” went from diminishing to uplifting. Yoga rooted me in reality and also gave me a practical mindset regarding self-worth. In actuality, self-worth begins with self-love and having the willingness to be positive and happy with life now, this very moment. My Journey towards life – How did I manage to overcome depression?